According to the NY Post, ABC is considering a reality show version of General Hospital. The show would revolve around the personal and professional lives of doctors and nurses who work at a Los Angeles hospital (rather than fictional Port Charles, New York). The new show is apparently in the very early stages of development and filming has quietly begun at UCLA Medical Center. ABC is said to be considering this new “General Hospital” show for the daytime schedule. The crazy thing is that 50-year-old General Hospital could end up being replaced by a reality show version of itself. Though the soap opera has been performing well this season — reportedly rising 18% in total viewers year-to-year (2.37 to 2.81 million) — the network is still on the look out for ways to expand their audience and cut costs. What do you think? Is ABC considering replacing General Hospital with a reality show version? Would you check it out? 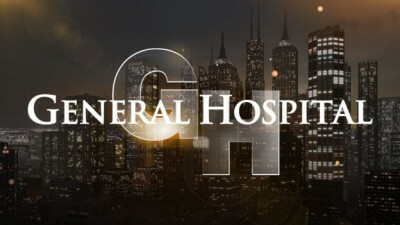 More about: General Hospital, General Hospital: canceled or renewed? I will never watch a single show on ABC if they cancel GH. Hell no!! If they cancel GH I will never watch ABC again. As soon as general hospital and the bold and the beautiful get cancelled next year, I will be one happy camper. The world of Soaps died years ago even before any of the soaps where cancelled!
. I ‘m having trouble adjusting to the new LuLu. Berman was soo cute and bubbly! This new girl is pretty,but not a good match. my GH with a dumb game show? What bozo thinks that’s what it’s L-O-N-G time views want? They AREN’T even listening to us! There are enough other junk shows on TV. What do you want to do, drive everyone away? Reality shows, game shows, Duck men, baby boo-boos, etc. all trash. I think GH should remain on the air; but they need to show more of the long time regulars on the show instead of having the people on the show who came from canceled soap operas. Plus taking some of the characters off and bringing them back on so soon as other people/roles….I don’t care for. I hate to see GH go off though. Just please keep the story line more with the regular GH characters and quit taking Luke to all the foreign countries with people that we are not familiar with (from previous GH days). They are not replacing GH!!!! As of 1-25-14 GH IS GOING NO WHERE!!!! nor will I start. Please don’t take it off. John McB is wonerful we love him. I can’t stand reality shows and will never watch anything in the place of GH. What is ABC doing. We lose Optah, AMC and OLTL. ABC in the afternoon is a wrap for me. I will not watch.